Home Strange Stories The strange case and death of Stephen McKerron. The strange case and death of Stephen McKerron. September 17, 1988 was set to be one of the happiest days in the brief life of Stephen McKerron. The five-year-old from Hamilton, Scotland was on a week’s holiday in Ayr at the home of his aunt and uncle, Lyn and Ian Sneddon. 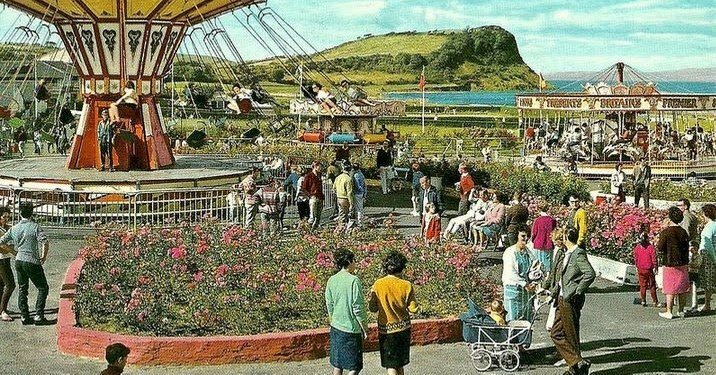 He was eagerly anticipating his visit to Ayr’s Wonderwest World holiday park, a seaside amusement center featuring rides, games, entertainment, and all the other features guaranteed to thrill the heart of any lively little child. For some three hours, Stephen had the time of his life at the crowded, merry park. And then, suddenly, the unthinkable happened. While the boy was playing on an escalator, the Sneddons–each thinking that the other was watching him–briefly lost sight of Stephen. Although he was only out of their view for a matter of seconds, it was time enough for him to vanish completely. The increasingly frantic Sneddons quickly searched the park, but found no trace of the child. They then went to the park’s security team, who in their turn called police. The hunt for Stephen McKerron was the largest missing-child search in Scotland’s history. A six-mile radius around the park was searched by hundreds of officers and volunteers. His description was widely circulated. Divers searched local rivers and water tanks. A special helicopter was brought in that had “heat-seeking” equipment that could detect a body. It all did no good. Stephen appeared to have vanished into dust. The publicity brought in several alleged “sightings” of the boy. One person claimed to have seen a “distressed” looking Stephen in a Wonderwest World cafe several hours after he went missing. He was in the company of a middle-aged man. Another park visitor said he saw a boy matching Stephen’s description climbing Wonderwest World’s seven-foot-high fence. A number of motorists believed they had seen Stephen walking alone along the Ayr-Turnberry road about a half-hour after the Sneddons last saw him. Whether those reports were credible or not, they were of little help in finding the child. After a few days had passed, the police admitted that they were “desperate” for leads. The assumption was that Stephen had been kidnapped–he was a happy child with no motive to run away–but that didn’t square with the eyewitnesses who claimed to have seen him wandering alone. In any case, where was he? Stephen’s loved ones were left tormented by horrible suspense until over two weeks after he vanished, when their worst fears were realized. On the afternoon of October 2, a woman was walking her dog in open country near her home at Beoch, over six miles from the holiday park. She was stunned to come across the dead body of a little boy. He was lying in a fenced ditch about half-a-mile away from two farmhouses. When police arrived on the scene, they quickly confirmed that Stephen McKerron had finally been found. He was lying just outside of the search area. It was ruled that the child had died of exposure. There was no sign that anyone had harmed him in any way. Authorities believed that Stephen had walked to the site alone–six miles over some of the most difficult and unappealing countryside in Scotland, full of marshes, hills, gullies, and thick woods. A local described it as “hellish territory.” It would have been hard for a strong adult to walk so far through such an area. For a five-year-old, it seemed virtually impossible. 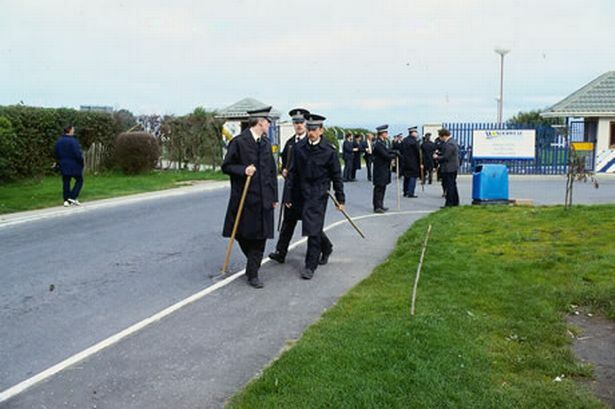 The police came in for a good deal of criticism for not making their search area a wider one. A department spokesman retorted with “How far do you go?” Law enforcement pointed out that their search area had been based on previous experience, as well as professional estimates on how far the boy could possibly have traveled on foot. What happened to Stephen was, quite simply, beyond anything anyone could have imagined. The puzzle of Stephen’s disappearance and death was, of course, far from solved. His distraught family insisted that he would not, could not, have walked to this remote site on his own. They believed that someone must have abducted the child and then left him in that ditch to die. His father also highlighted the odd fact that when Stephen’s body was found, his socks had been removed and were in his pocket. Mr. McKerron pointed out that his son did not know how to tie his shoes. Not only would it have made little sense for Stephen to take off his shoes, remove his socks, and then put his shoes back on, he could not have done it at all. (Of course, it makes no sense that anyone else would do it, either.) The question at the heart of the tragedy–namely, why Stephen would voluntarily leave the park at all–was also impossible to answer. An official inquiry was held in March 1989 before the local sheriff, Neil Gow. After considering the various theories involving foul play–that someone had kidnapped Stephen and left him in this remote spot to fare for himself, or killed him and then dumped his body in the ditch–Gow ruled that the boy had simply died a strange, but completely natural death. Stephen’s “enterprise and stamina” had been “seriously under-estimated by all concerned.” The sheriff concluded that, for whatever unknowable reason, the boy had wandered away from the park and continued to hike until he collapsed and died. As far as the authorities were concerned, the case was closed.